Four Seasons Found in the Bible – Part 4. If God did create diseases did he have any good intentions or did he want them to destroy us? Is God still creating diseases today, or are the ones He created just now being discovered? Is this book right when it says that as humans we adapt overtime based on certain genes that help us survive? The student offered one example of the disease hemochromatosis, which is a genetic disorder “that causes high amounts of iron to be present in the body, and overtime the human body ‘rusts’ away until the person affected dies” according to the student. The Mayo Clinic says that “hemochromatosis causes your body to absorb too much iron from the food you eat. The excess iron is stored in your organs, especially your liver, heart and pancreas. The excess iron can poison these organs, leading to life-threatening conditions such as cancer, heart arrhythmias and cirrhosis. Many people inherit the faulty genes that cause hemochromatosis — it is the most common genetic disease in Caucasians” (emphasis added). As reported by the student, Moalem “suggests that this disease helped people to survive during the bubonic plague. The bubonic plague was easily contracted and once it was in your system would rapidly progress feeding off of the iron available in the blood stream and within days kill you. Those who were lucky enough to have hemochromatosis, however, had almost all of their iron inaccessible to the plague since it was all in ‘locked’ form. This prevented the disease from spreading and enabled people to survive.” This was offered by Moalem as one example of the evolutionary theory of natural selection and how adaptations helped many people to survive. I have not read Moalem’s book, so the information I have is secondhand. However, the error in thinking seems pretty clear to me. The example cited about hemochromatosis is an example of a genetic defect. The people with this genetic defect die because their bodies cannot make use of the iron in their system. The fact that it protected them from the bubonic plague did not save them from the eventual death caused by their genetic disorder. They still eventually died prematurely because of their inherited disease! The same is true for those with sickle cell anemia. It is a genetic defect that brings about the early death of those having the defect. However, the defect makes them immune to malaria, and although they are safe from malaria, they eventually die an early death because of the disease. Personally, I do not see the benefit in either of these cases! Genetic studies are showing that we are not improving health-wise. Our knowledge of how to combat some of these diseases continues to improve as new diseases continue to crop up. 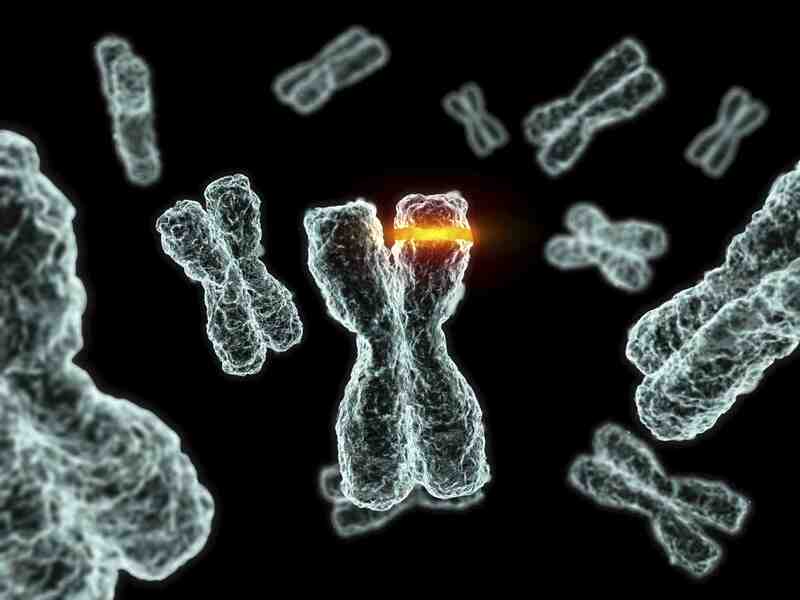 Studies have shown that we transmit 60 to 200 mutations every generation, and those mutations are either neutral or harmful; none are beneficial. As for God creating diseases, in a certain sense, He did. God is sovereign and all of creation is subject to His control. However, in another sense, God did not create disease. Genesis 1:31 tells us that God’s assessment of His creation was that it was “very good.” Such an assessment coming from a perfect God can only mean “perfect” – “flawless.” Death, decay and disease came as a result of man’s sin. “Because thou … hast eaten of the tree, of which I commanded thee, saying, Thou shalt not eat of it: cursed is the ground for thy sake” (Genesis 3:17, emphasis added). It is because of man’s sin that disease entered into the world, not because God created it – at least not initially. In the beginning man was created not to die; in fact, nothing that God created was intended to die. The Bible calls death “the enemy” (1 Corinthians 15:26). So, our genetic degradation is due to sin. However, God will not allow us to degenerate to extinction. When Christ returns, He will restore everything back to its original perfection (Revelation 21:1). That should give us great hope! The biblical account of the Global Flood is not irrational when you do the math! Episode 33 – Dinosaurs and Humans. Are dinosaurs mentioned in the Bible? Watch and see! One of the strangest stories in the Bible is that of “Jonah and the whale.” In fact, the story is so incredible that even some Bible scholars have tried to invent alternative renditions to make the story more believable. Some suppose that the “great fish” that swallowed Jonah may have been something like a whale shark, or a sea monster like leviathan (thought by some to be a mosasaur), or a whale. 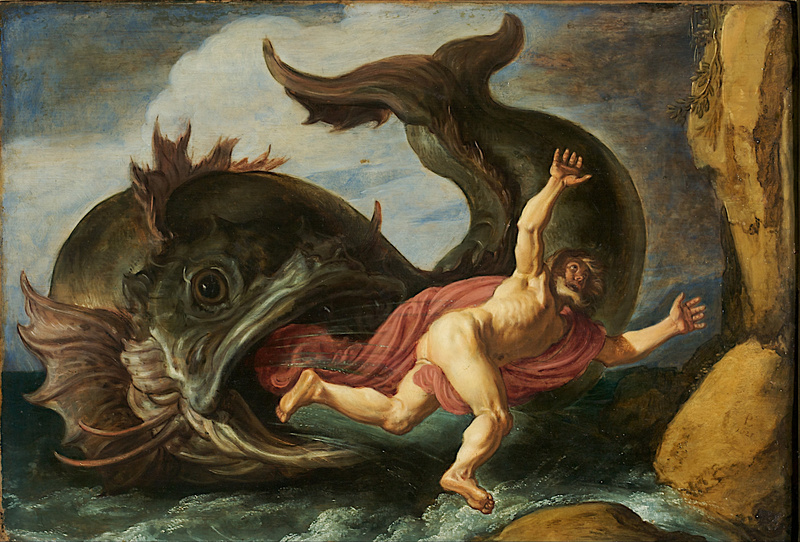 The suggestion that the creature was a whale probably comes from the King James reference in Matthew 12:40 where it describes Jonah as being in “the whale’s belly.” However, the Greek word translated “whale” is kētos, which could be understood as “sea monster” as it is translated by the Revise Standard Version and the New American Standard Version Bibles. But kētos can also be translated as “a huge fish.” This understanding is more in keeping with the Hebrew of Jonah 1:17 which literally translates the Hebrew dâg gâdôl as “great fish.” What the great fish was, is up for speculation. It certainly could have been a whale shark, which is a “great fish,” but it certainly was not a whale or “sea monster,” otherwise the Hebrew word tannıyn would have been used (Job 7:12; Ezekiel 32:2). Whether the “great fish” was a whale shark or some other variety of large fish is irrelevant. What should be noted is that “the LORD had prepared” the fish “to swallow up Jonah.” It is not impossible to understand this as a new creation miracle of God so that it was something totally new created just for this purpose. It is also reasonable to believe that God used a dâg gâdôl that was already in existence to be called upon do to the LORD’s bidding. God is not limited in His options. The other point of contention in this story is that Jonah survives inside the belly of this great fish for three days. That is truly incredible! One would think that the digestive acids in the fish’s belly would have been enough to kill Jonah. Well, perhaps Jonah actually did die! Listen to Jonah’s words: “I cried by reason of mine affliction unto the LORD, and he heard me; out of the belly of hell cried I, and thou heardest my voice” (Jonah 2:2, emphasis added). The Hebrew word translated “hell” is she’ôl – the abode of the dead – translated “Hades” in the Septuagint (the Greek translation of the Hebrew Scriptures). He describes himself as going to the depths of the sea. “I went down to the bottoms of the mountains; the earth with her bars was about me for ever: yet hast thou brought up my life from corruption, O LORD my God” (Jonah 2:6, emphasis added). That sounds dead. But some may challenge, “How can a dead man be aware of his condition?” Others may reasonably suggest: “This is Hebrew poetry; Jonah is speaking metaphorically.” For that, I would remind the reader of Jesus’ account of the death of the rich man and Lazarus (Luke 16:19-31). When the rich man died, he was aware of the flames of his new environment, he was aware of his thirst, he was aware of Lazarus in Abraham’s bosom, he was aware of the lost condition of his five brothers, and he was able to converse with Abraham. If this was true of the rich man – and Jesus relayed this as a factual account, not as one of His parables – then it certainly can be true of Jonah. This understanding makes Jesus’ analogy in Matthew 12:40 even more poignant. “For as Jonas was three days and three nights in the [belly of the kētos]; so shall the Son of man be three days and three nights in the heart of the earth.” Jesus died an actual death. He was in the “belly of Hades” for three days. “And the LORD spake unto the fish, and it vomited out Jonah upon the dry land” (Jonah 2:10). In the same way, after three days in the tomb, God raised Jesus from the dead. For this reason, I believe Jonah actually died and was revived to accomplish the will of God. That is why Jesus could point to Jonah as the example of His death, burial and resurrection. What’s the Big Deal About Sunday? Growing up in Texas, I remember, like a foggy dream, the reverence with which Sundays were observed. Back in those ancient days, we had the Texas “Blue Laws” which practically shut down any kind of commerce. Gasoline stations, grocery stores, restaurants, etc. were all closed for business on Sundays. In order to prepare for Sunday, one had to fill up on Saturday, and stock up on groceries for the Sunday meal. On Sunday morning, Mom would get us all dressed up in our Sunday best, complete with coat and tie. We were poor, so these special clothes were reserved only for Sunday. The idea was that when we came to God’s house, we brought our very best and that included our appearance. After church, there were no restaurants open, so Sunday lunch was a special family gathering time – sometimes with company. 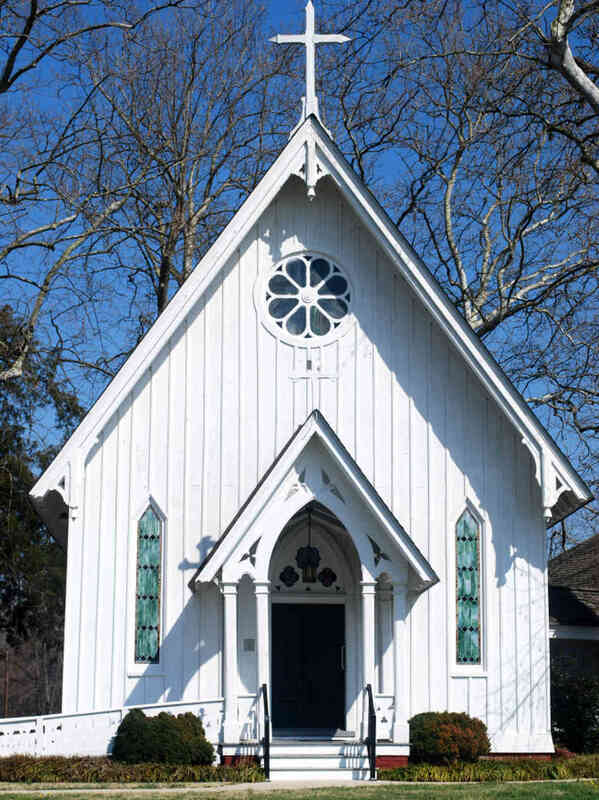 Of course, there are some churches where Saturday worship is the norm. Naturally, we can understand such a practice from Messianic Jewish congregations, but there are others besides. There is a sect of Baptists who observe the Sabbath as do the Seventh Day Adventists. The Church of God and some Pentecostal denominations also worship on Saturday. So, what makes Sunday so special? First of all, let me say that setting aside one day of the week for rest and worship is right and proper whether that day be Friday, Saturday, or Sunday or any day of the week for that matter. Our Scripture verse above reminds that the day itself is not as significant as the object of our worship. So why is Sunday to be preferred rather than Saturday – the Sabbath? There is much confusion that comes with the interpretation of the word “Sabbath” in the Bible. The word in the Hebrew does not mean “seventh” (shebəiʽi), but rather “rest” or “to rest” (shebbot). Genesis 2:2 tells us that “on the shebəiʽi day God ended his work which he had made; and he shebbot on the shebəiʽi day from all his work which he had made.” Translating that seventh day to mean Saturday “assumes” that God began His creative acts on Sunday, and we really have no textual basis for that conclusion, albeit, Saturday has been recognized as the seventh day from time immemorial. Furthermore, as you study the “Feasts of the Lord” given in Exodus and Leviticus, you will find that each of the feast days is considered a shebbot (Sabbath) regardless of what day of the week on which it falls. So, we need to be careful not to become too dogmatic over things on which the Bible is unclear, i.e., that Sabbath means exactly the seventh day of the week or Saturday. However, it is clear that we need to “sanctify” – set aside – one day a week for the Lord. In the New Testament, the first Jewish Christians went to the temple or synagogue on the Sabbath (Acts 13:14; 17:2; 18:4) for the sake of the Jews and partly because that remained their custom. But they also met on the First Day of the week (Acts 20:7; 1 Corinthians 16:2) because this was “the Lord’s Day” and also for the sake of the Gentiles which were not obligated to follow Jewish custom (Colossians 2:16). The reason for this change is because this is when Christ was raised from the dead (Matthew 28:1, Mark 16:2; Luke 24:1; John 20:1). The First Day of the week was also the day that the Holy Spirit descended upon the disciples gathered in the upper room (Acts 2:1). Scripture does not specify the day of the week, but when you consider that Jesus arose on the first day of the week (Sunday) and then count forward 50 days (the Day of Pentecost) you will find that day to be Sunday also. The day that Jesus arose was the “First Omer of First Fruits” (Nisan 16), and the Day of Pentecost was the “50th Omer” (Sivan 6). Not only were these days important on the Jewish calendar, but they have even greater significance in the Christian calendar. For this reason, it is proper that Christians should meet on the First Day of the week to celebrate the Risen Lord and the coming of the Holy Spirit. Now, “Let no man therefore judge you in meat, or in drink, or in respect of an holyday, or of the new moon, or of the sabbath days” (Colossians 2:16, emphasis added). We should not be critical of those who wish to worship on the Sabbath, but Sunday should carry greater significance for the Christian.